Tapjoy chose the huge Game Developers Conference in San Francisco to make their big announcement. The news: Tapjoy now offers the industry’s most complete mobile marketing automation and monetization platform. 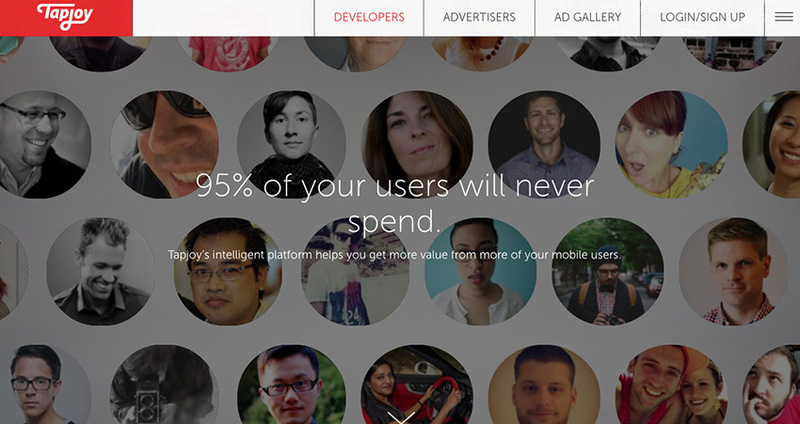 That means Tapjoy is giving mobile app developers more ways to make more money. According to Chief Marketing Officer, Pete Dille, the new platform is being seen as a truly transformative event for the company. The Tapjoy solution provides segmentation and predictive analytics that the mobile app industry has never seen before, and promises to help developers optimize revenue from every user. Tapjoy called on Kiosk to craft and tell this unique story. First, we developed new brand messaging to express the ways developers can radically and intelligently boost their businesses. Then Kiosk designed and built a new website that glides people through the promise and performance of Tapjoy’s impressive platform. Now imagine you’re a mobile game developer whose app is not making money from 95% of its users, and you suddenly discover a smart, new way to drive more revenue. Check out the Tapjoy website.